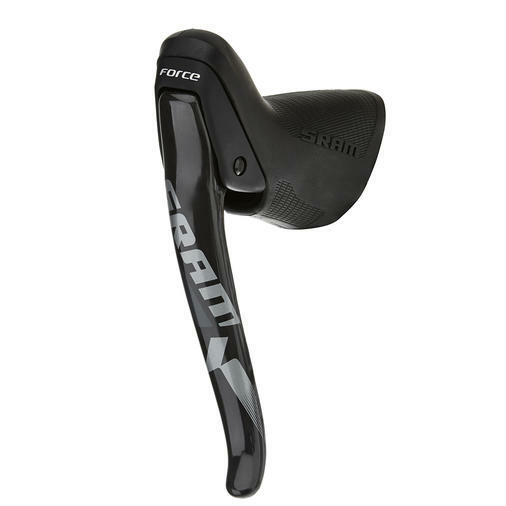 SRAM Force CX1 ErgoDynamic levers* are bred from the DNA of our the best-in-class SRAM RED, representing our most advanced thinking on perfecting the interface between cyclocross rider and bike. Bred from the DNA of our best-in-class SRAM RED levers with the added feature of 1X11. ErgoFit textured body improves grip and finger wrap with reduced diameter, providing better control, and a better transition to the bar. Reach Adjust allows you to perfectly set lever reach to your personal specifications. Left-hand lever has no shift paddle and weigh just 119 grams.